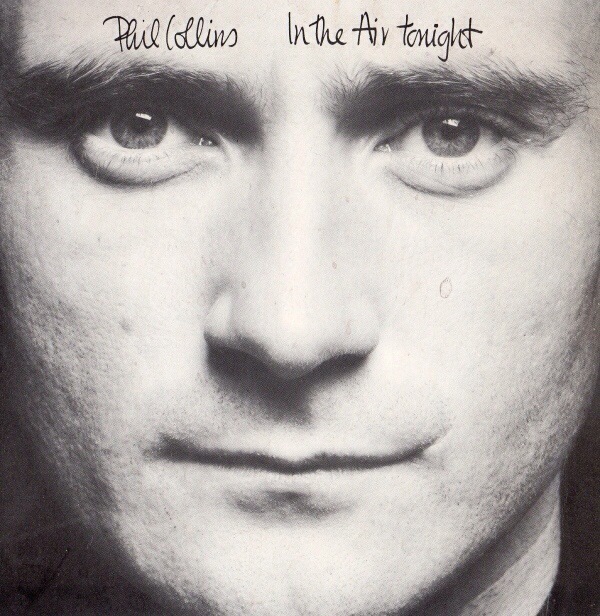 Today I thought I would share this song by Phil Collins – “In the Air Tonight”. This striking song was a big hit for Phil Collins in 1981, and comes from his album Face Value. It was Collin’s first solo single; previously just the drummer, he had taken over as the lead singer of Genesis when Peter Gabriel left in 1975. I blogged about one of Peter Gabriel’s songs, “In Your Eyes” here. Unlike Gabriel, Collins did not leave Genesis, rather he and the other band members pursued solo recording projects in addition to continuing to record as a group. In 2007 the song gained a new generation of fans (including my children!) in the DUK when it was used by Cadbury chocolate in their advertisement for Dairy Milk. Which is your favourite solo Phil Collins’ song? Can Wales make rugby history? The annual 6 Nations rugby tournament starts this Saturday, and Wales are in a position to make rugby history. They could become the first country in over 100 years to win 3 championships in a row, having won in 2012 and 2013. Not even the celebrated Welsh side of the 1970s achieved this feat, despite their many accomplishments. So, as can be seen from the fixture list, Wales have 3 home games and 2 away games. 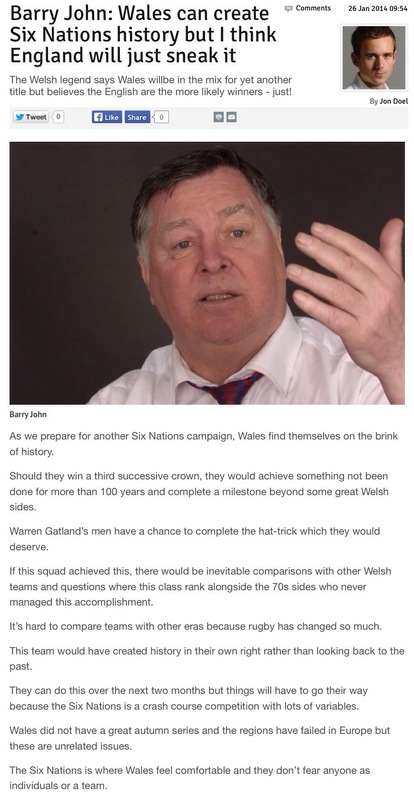 Although I very much hope Wales can make it 3 Championships in a row, I have a fear that it will be England’s year, and I am not just saying that to agree with 1970s rugby legend Barry John. England looked very good in their Autumn tests, even in their defeat to New Zealand. Wales, on the other hand, had a mixed Autumn series with two wins, a narrow defeat to Australia and a 9-point defeat to South Africa. Warren Gatland has named a squad which includes 8 players who are still injured. However, one of those injured players, Jamie Roberts, it named for Saturday’s game so is hopefully over his injury. Apart from changes forced by injury, Gatland’s team against Italy is what everyone expected, and shows how settled a team the Wales side has become. As always, expectation is high in Wales. BBC Wales runs advertisements for the 6 Nations in the lead up to the competition, and currently the advertisement they are running is below. It features their campaign to get Welsh fans to know the words to one of the hymns sung at the Wales games – the hymn Calon lân, which means “A pure heart”. I don’t own any of the albums in this list, although I do own albums by The Police and Bruce Springsteen. 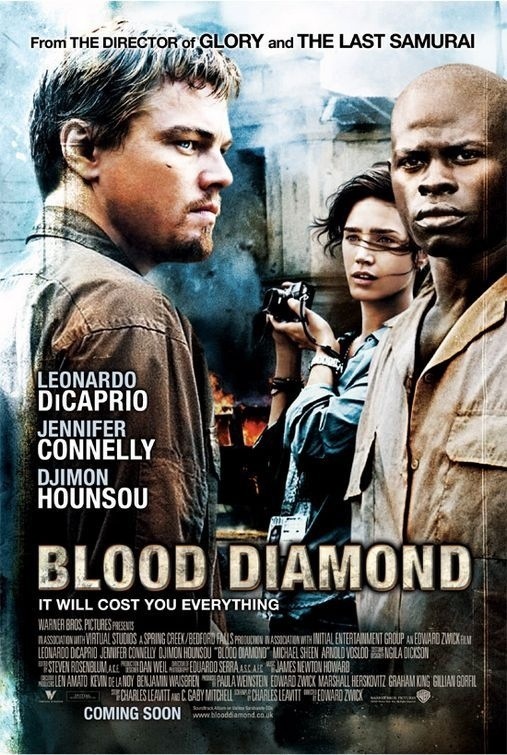 I am familiar with The Police’s “Outlandos D’Amour, and I nearly chose that album to blog about. But, instead I chose to blog about the “Anthology” album by Diana Ross and The Supremes, as I blogged about The Police a few weeks ago (here). 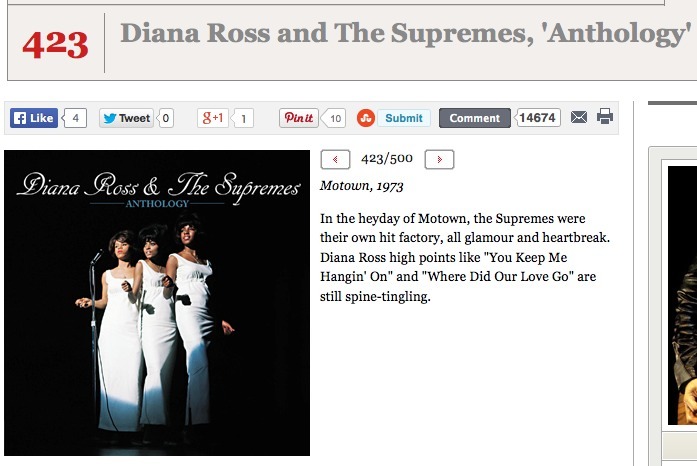 At number 432 in Rolling Stone Magazine’s 500 greatest albums is “Anthology” by Diana Ross and The Supremes. The Supremes are the most commercially successful of all the Motown recording artists. This collection has 48 tracks, including all of their best known songs like “Where Did Our Love Go?”, “Stop! In The Name of Love”, “You Can’t Hurry Love” and “Reflections”. The song I have decided to include here is “You Can’t Hurry Love”. This is a live performance on The Ed Sullivan Show from September 1966 (unfortunately it is only part of the song). Enjoy! Which is your favourite Diana Ross and The Supremes song? After a lacklustre 1-0 win over Stoke City at Stamford Bridge, Chelsea have drawn Manchester City at The Etihad Stadium in the 5th round of the FA Cup. Man City have not lost a single home game in all competitions this season, so this is a daunting tie for Mourinho and his team. It is great to see the two Welsh teams who play in the EPL still in the competition. Cardiff have drawn last year’s winners Wigan at home, whilst Swansea have a tough away fixture against Everton, coached by Swansea’s ex-coach Martinez. Cardiff are currently bottom of the EPL, and it’s always difficult to know whether a successful run in the FA Cup benefits a team when they are struggling in the League. 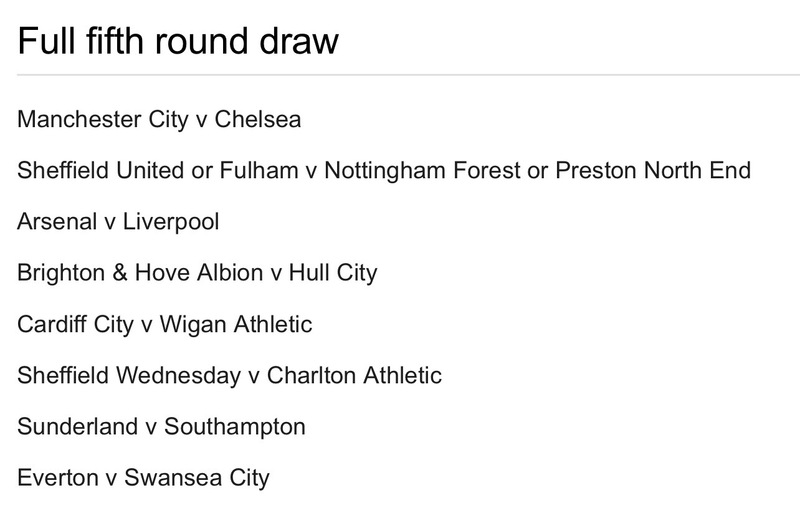 Last year’s winners Wigan ended up being demoted from the EPL, and Cardiff would certainly want to avoid that. Can Nadal make history in Australia? Rafael Nadal stands on the verge of making tennis history should he win the men’s final of the Australian Open tomorrow (26th of January). Not only will victory give him his 14th Majors title, but also he will become the first player in the Open era to have won each one of the Majors at least twice. As of now, Nadal has won the French Open 8 times, Wimbledon 2 times, the US Open 2 times and the Australian Open once. By beating Federer to reach the Australian Open final, Nadal could become the first man in the Open era to win at least 2 of each of the 4 tennis Majors. There are two other players who have won at least 2 of the 4 tennis Majors, namely Roy Emerson and Rod Laver. But neither of them achieved this during the open era. When Emerson won most of his titles in the 1960s the majority of his major rivals (including Laver) were not competing as they had turned professional and were therefore barred from playing in the 4 Majors. Rod Laver won the Grand Slam (all 4 Majors in the same year) in 1961 and 1969, as well as some Majors in other years. But many of these titles were won before tennis went open. As a big Federer fan I have often been reluctant to admit what an exceptional player Nadal is. When Nadal and Federer play each other I always want Federer to win. 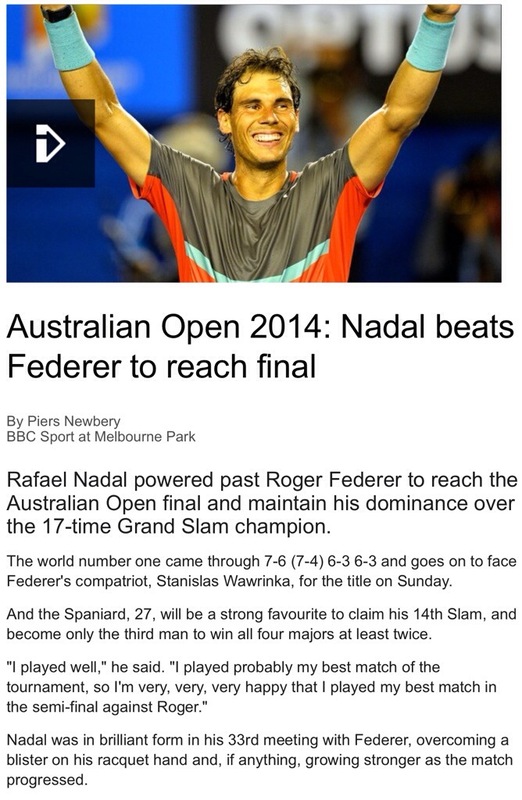 But should Nadal win in Australia tomorrow it will make him one of the truly great tennis players of all time. A few night ago, on the 21st of January, at 19:20 Universal Time (UT), a supernova was discovered in the relatively nearby galaxy Messier 82. This is one of the closest supernovae to explode in the last few decades, and provides an opportunity for people to see it with binoculars and small telescopes. A “before” and “after” image of Messier 82. The supernova is circled in the image on the right, just to the East (right) of the centre of the galaxy. From analysis of its spectrum, we have determined that this supernova is what we call a Type Ia supernova. This type of supernova happens when a white dwarf star, the remains of a relatively low-mass star like the Sun, accretes material from a companion. White dwarfs are prevented from collapsing by something called electron degeneracy pressure, but it was calculated in the 1930s by the Indian astrophysicist Subrahmanyan Chandrasekhar that if a white dwarf exceeds a mass of 1.4 times the mass of the Sun it will collapse into a neutron star. This limit is now called the Chandrasekhar limit, and a Type Ia supernova happens when the white dwarf accretes enough mass to exceed this limit. The white dwarf explodes, brightening millions of times in the process. Type Ia supernovae are produced when a white dwarf exceeds to Chandrasekhar limit and explodes. If you get the chance over the next few nights, and you live in the Northern Hemisphere, Messier 82 is not difficult to find. 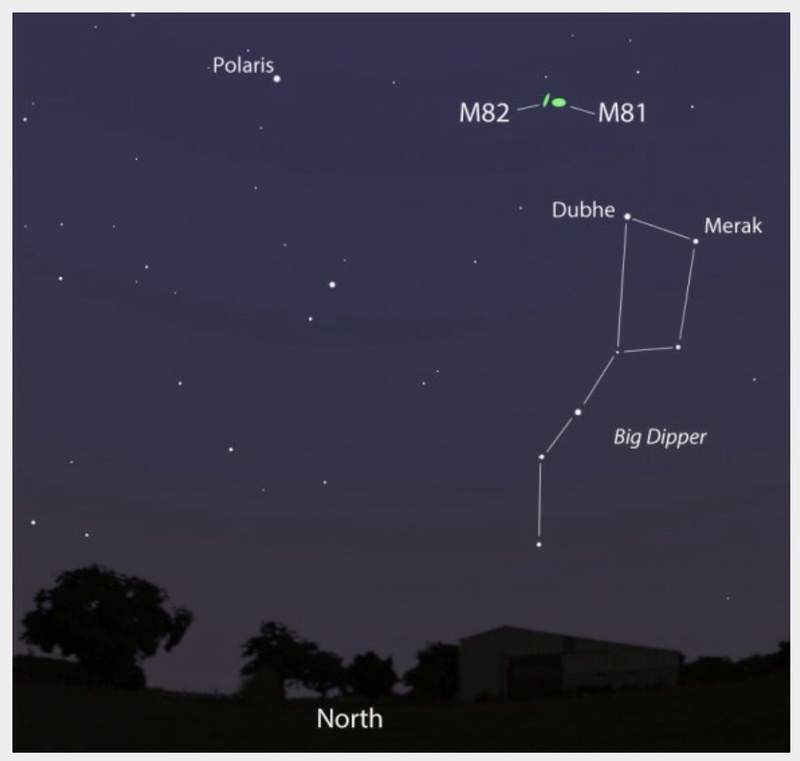 You can use the bright stars of The Plough (Big Dipper) and the chart below to find it. Messier 82 and its companion Messier 81 are to be found near the stars which form the right hand part of the bowl of the Plough (Big Dipper). 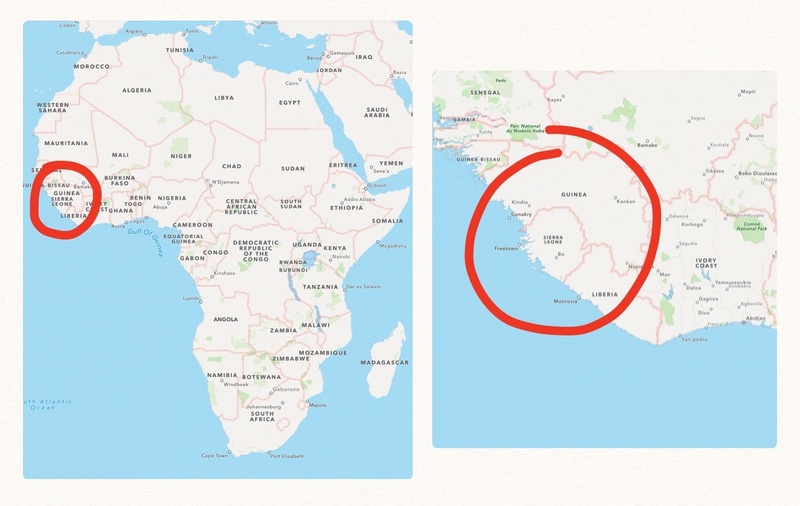 This is sadly below the limiting magnitude that can be seen with the naked eye, which is about in a dark place. But it is well within the capabilities of a small telescope or a pair of binoculars. So, good luck in seeing it, it is not very common to be able to see a supernova through such rudimentary equipment.